My daughter really does know what I like. She brought me this wool all the way from Stowe, Vermont, USA. 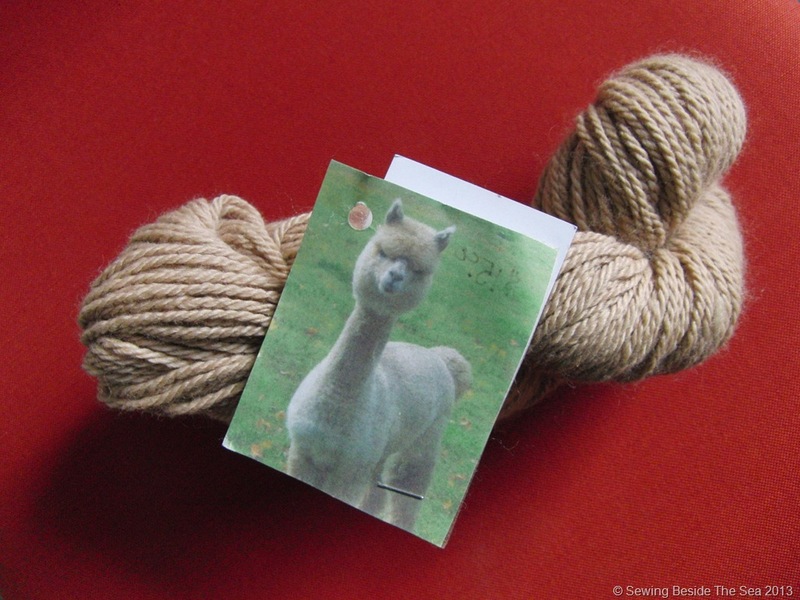 As you can see in the photo, the yarn is from an alpaca. Her name is Nessun Dorma and she lives at Sugarbush Alpacas in Stowe. Isn’t it wonderful how we can trace the origin of such wonderful natural products these days, even down to the individual animal that it came from? My crocheted ripple blanket is progressing nicely and I’ve almost got one motif completed in the Cirque des Cercles cross stitch SAL that I’m doing with Claire and Izz. You’ll have to wait a couple of weeks for a photo update on those. Last but not least, don’t forget to take part in the Chicken Run over at my patchwork blog Oh Sew Tempting. You have to agree to do something fun to be eligible to enter so hop across and see what it’s all about before it’s too late! It’s the time of year when my knitting needles are screaming out to be put to good use. 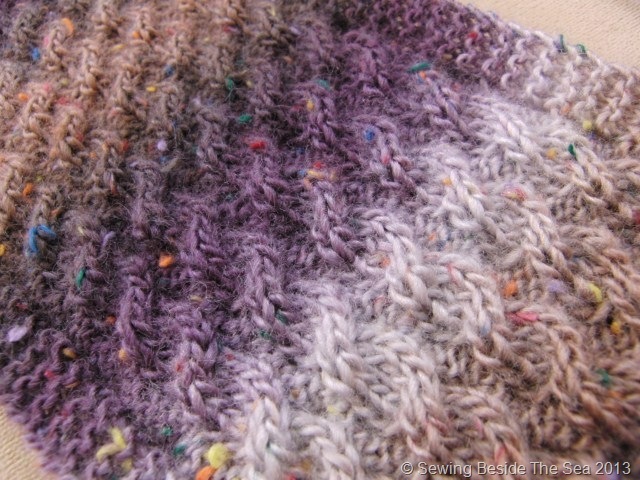 I love those dark winter nights when I can curl up on the sofa under a quilt and knit. I have no idea what made me park up the car and take a long stroll down our mini high street yesterday. Maybe the knitting magnet pulled me towards the wool shop . I found this yarn and had to buy some. I found more colours in this online shop and it is cheaper than the high street store that I went to. 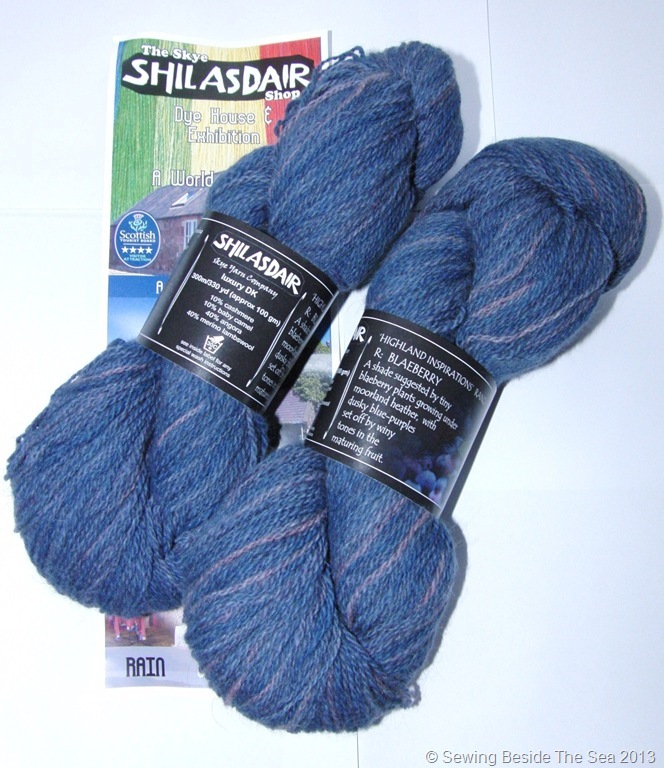 I bought one ball of South Downs shade (purple) and one of Glens (blue). OK, I know I wasn’t compelled to purchase and I had no projects in mind, but by the time I got home, I couldn’t wait to get started. Here’s some photos of my progress. 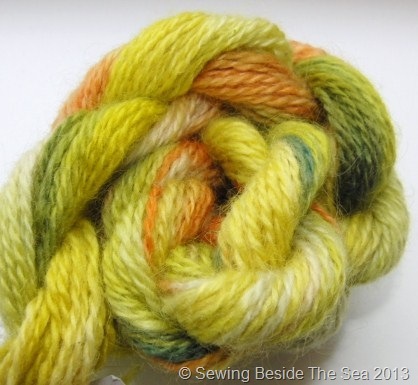 Isn’t it lovely how each colour randomly morphs into the next one? There’s also little flecks of brighter colours which add a bit of extra interest when you get close up. You have probably guessed that I decided to knit a scarf so here’s where I’m up to now. It’s 26 inches long and I’m looking forward to knitting more tonight . 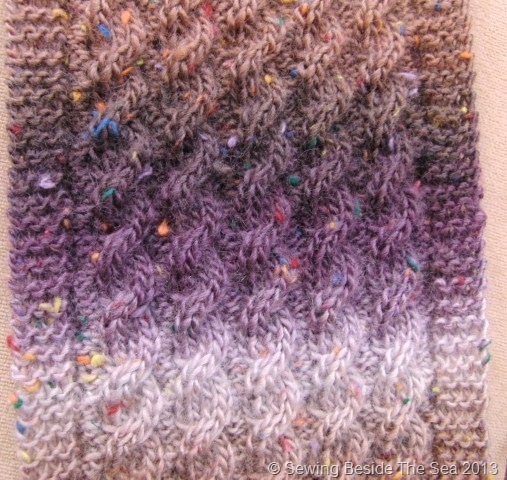 The pattern repeats every 6 rows and the cables are reversible. 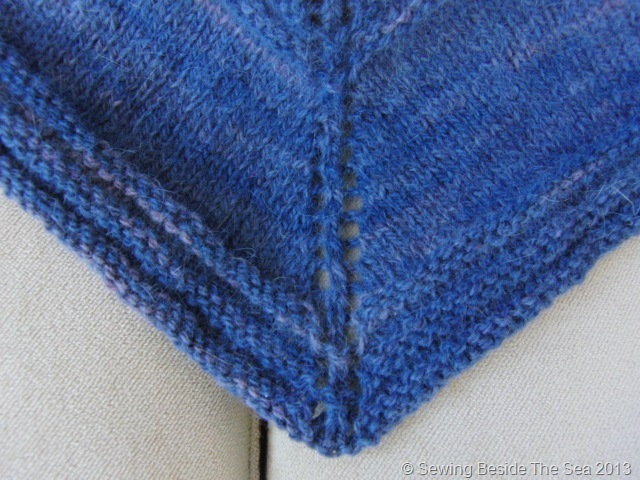 I’ve always avoided doing cables on a scarf before because the back wouldn’t look great. This pattern solves the problem. The back looks the same as the front except there are 5 cable twists on one side and six on the other. 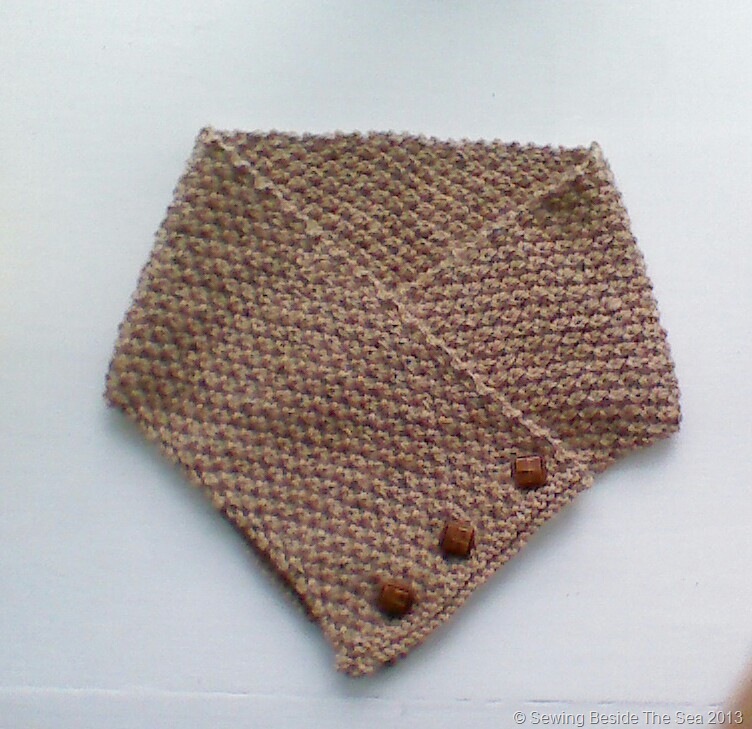 If you want to try the pattern designed by Jan Cullen it is free here http://www.ravelry.com/patterns/library/caswell-scarf. Thank you for your generosity Jan! The pattern explains that to increase the width of the scarf you just need to add multiples of seven stitches to the cast on stage, which I did. This wool is nice and snuggly, not prickly like some yarns can be. Before I go, I need to mention Angela who has sent me this from the other side of the world . I won a prize!!! Angela of Pretty Little Things in a Box offered to send me something handmade or a shop bought prize and she wanted me to choose BUT I like surprises….so I asked her to choose for me. 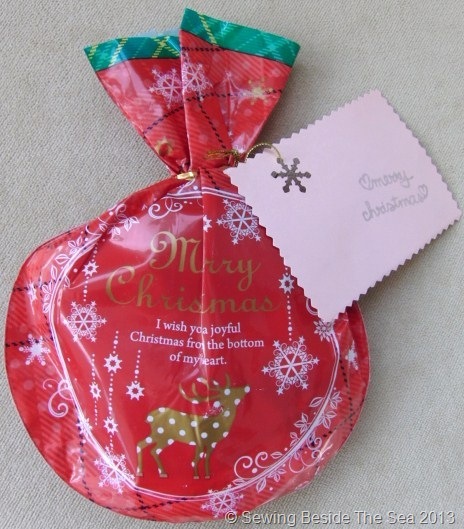 So this little Christmas Bauble shaped package will be going under my Christmas tree. I have a good idea what it is because I couldn’t resist feeling around the parcel but I’m going to open it on Christmas morning . Thank you so much Angela! There is a little something on its way to you now. I hope Santa can deliver it to you before Christmas! Well, that’s it for now. I hope you are all finding time to craft if you are preparing for the Festive Season. Have fun!